could never have been predicted. West Midlands Rock & Blues scene of the mid to late 60s. had been a key figure. stars Robert Plant and John Bonham. whilst returning home from a gig in Carlisle on October 21st 1976.
and then vocalist Terry Davies. into being the first incarnation of Judas Priest. both sawn in half & joined together. Vernons complex riffing on this recording. Drummer, Phil Brittle was also something of a local legend. before John Bonham entered the fold. Phil how to play triplets and double kick drums! between Vernon and Micks fierce, yet intensely catchy rifferama. for a major label release in 1971.
it has never seen the light of day: until now. can finally be cleared and laid to rest. Mon 25th September 2006, on the Rise Above Relics label. mastered from the original masters and sound fantastic. (Birmingham Evening Mail & Express & Star to name a couple). will be running a story on the band and their legacy. This will be broadcast on the evening of the albums release. A special vinyl version will be released later in the year. It gives me a strange mixture, of both sadness and pleasure in making this post! 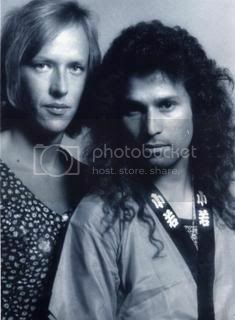 that I knew Mick and Vernon, both as friends and as professional musicians. I took Mick to Birmingham to buy those Gibson’s,and remember his Dad, sawing them, in half!!! that could have made him a super-star. i have one or two pics of him on stage with us. Phil Brittle is the drummer in the Maz Mitrenko Band, they played last night at a local blues club in Lancashire. 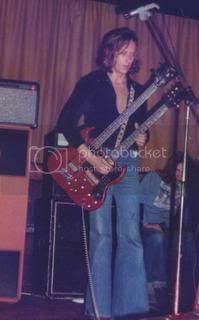 I’m a Brummy and compiling some research on the rock scene late 60’s early 70’s … as I was there!! I did see Possessed in the Railway Curzon st in the seventies they were great, I’ve known Phil Brittle for years and as a drummer myself I’ve drawn massive inspiration from Phil, he is a legend. I’ve just seen Phil with the Maz Mitrenko Band in Colne, and I knew Phil was something special. I didn’t realise how much history was there. Energy, attitude, and an amazing drummer. I Played with Phil in a social Club band on the 90s. I aslo know Maz from when i was 18 and we both worked at the GPO, small world eh. We were also Regulars on the M6 and i remember well that we (Bandanna MK1) payed at the same venue just the week after Posessed had their accident and the guys lost their lives. Having read about this tragic accident in my copy of the J.B’s book, it mentions that there were other band members injured, does anyone know any name’s as I feel my old music teacher may have been one of them. Regards. Andy. There was a member of this band named Kelvin Yates who was in the van that fateful day. Very sorry you lost your father Reno, it was a tragic accident. 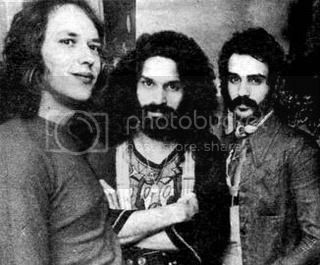 I remember Vernon first from when he was in the Wellington Kitch Band with Charlie Grima (late of Wizard) and also from the Band of Joy and Possessed. Remember seeing Possessed in a small club in Wellington, Telford. Good band who were happy to talk music with us for ages. Sadly can’t remember too much about the other lads, for which I apologise but Vernon I do remember. A charismatic and full of life character and a genuinely top bloke. 40 years on he is still remembered fondly by myself and I suspect many others.